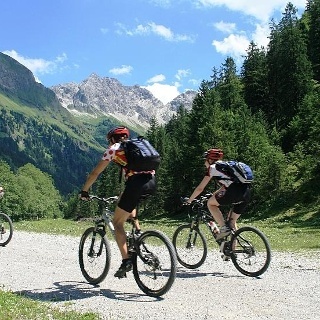 The tour is not suitable for beginners, rather for endurance bikers with sufficient fitness and good driving skills. 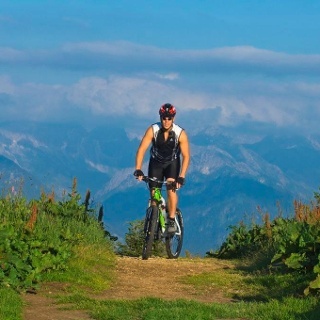 In the beginning, the route leads through forests and mountain meadows up to Alpe Eck. It is easy to go downhill to the Geißrückalpe and down to the wonderful Oster Valley. The long way next to the Gunzesrieder Ach runs comfortably, it follows only a short distance upwards over the Hüttenberger Eck and from here it is also quite comfortably again back to Ofterschwang. Only ride on paths! Please never cross country ver meadows, otherwise you harm nature. Do not leave any traces! Set your driving style according to the ground and the terrain. 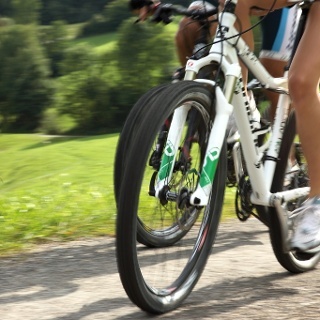 Keep your bike / mountain bike under control! Check your speed for each situation. Respect other nature users! Please make hikers ware of your passing. At narrow passages please climb off your bike. Take care of animals! 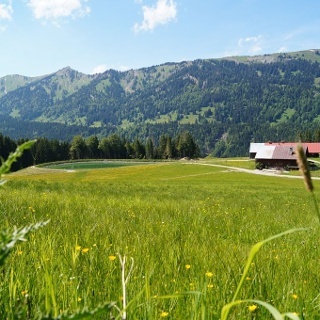 Here in the Allgäu, all meadows are used as grazing for cows. Always close the gates. Plan in advance! Check your equipment, estimate your skills, and choose the area you want to go in. A helmet can protect, but is not life insurance. You start at the valley station of the mountain railway in Ofterschwang. 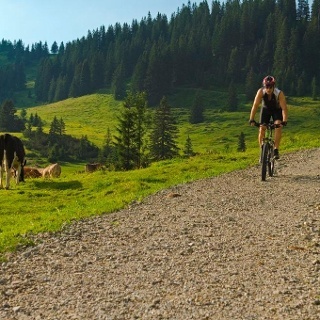 Still fresh and equipped, you are ready to pack the hard, very steep climb over roughly screeched ramps to the Alpe Eck/Allgäu Berghof. The view should reward the efforts of the climb. Then take the path to the Geissrücken Alpe. From there down to the tarred road in the Oster Valley, where you turn right and drive past Buhls Alpe down to Gunzesried Säge into the valley. Here we continue along Gunzenrieder Ach, past the valley station of the Ossi-Reichert-Bahn (only in operation during winter), to Gunzesried. There you have to turn right upwards and cross the Salzhalde and descent to Hüttenberg. It is worth a visit to the Alpine Dairy in Hüttenberg. 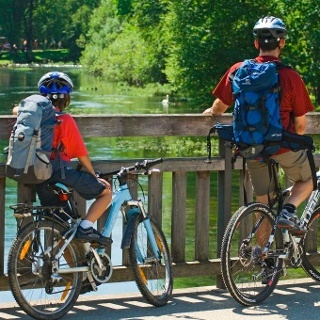 Continue along the road via Bettenried to the main road and take the cycle path up to the starting point in Ofterschwang. In the village center at the ice cream parlour (delicious ice from fresh milk from the Alpine Dairy Hüttenberg), the Panoramaweg leads right back to the valley station. The access to Ofterschwang is via the B19, with exit Sigishofen (OA5) at Sonthofen or via Tiefenberg.